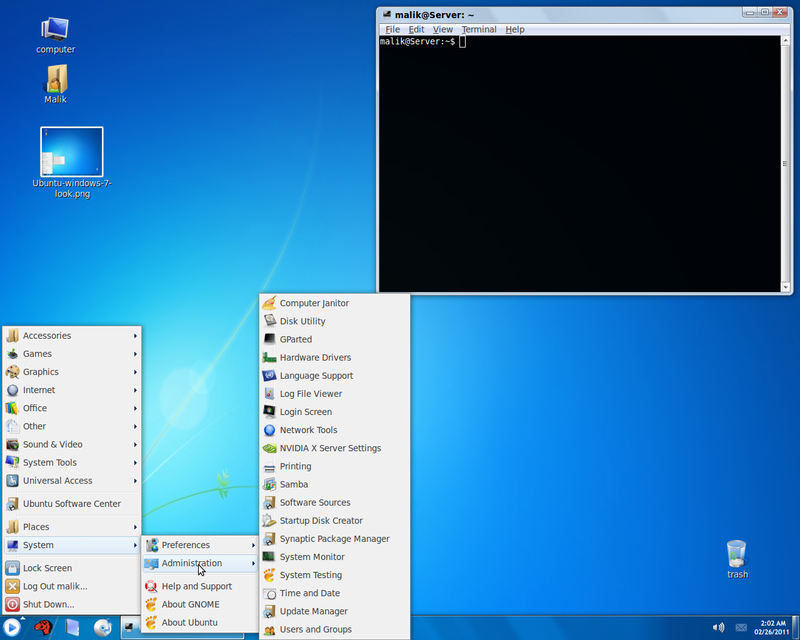 If you like the looks of Windows 7, you can make Ubuntu look exactly the same using the Windows 7 transformation pack. Download the transformation pack from gnome-look.org. Navigate to your downloaded package using file browser and extract the package. Open the extracted package's folder and double click GUIInstall.sh and then choose 'Run in Terminal'. Follow installation instructions. Choose manual install when asked and install all the offered packages in order to make sure you get exactly the same looks as of Windows 7. 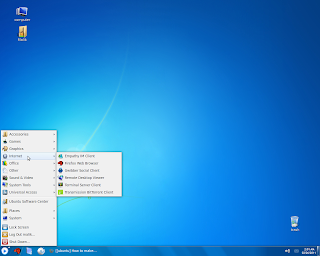 You can customize the panels, icons, start-button etc when asked during the installation process. Once finished, log out and log back in. 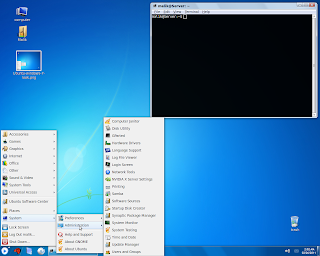 A CompizReadMe.txt file will be generated on your Desktop, follow it for configuration of Compiz. If the file isn't on the Desktop, you can find it under Extracted Theme Folder > Files > Compiz. If you want to un-install the transformation pack and settings, run GUIUninstall.sh script from the same folder.